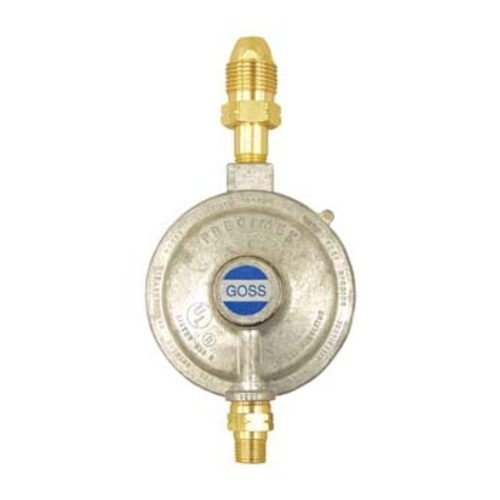 Low pressure propane regulator converts high pressure propane to low pressure propane. Designed for use with H212 and H209 burner only. This propane regulator does not come with the hose necessary to connect to the burner. You would need to have a professional plumber do the installation. Regulates to 11" W.C. (.4 PSI). Good to about 400,000 BTUs although we can not get an exact value from the manufacturer.